Ever wonder what became of the buildings on old vintage postcards? Are you curious to know if they still stand? In my previous blog post, I showed two historic buildings in Natchez, MO – The Briers and Arlington . I continue my series of blog posts on “then and now” old buildings pictured on vintage postcards with the below hotels. 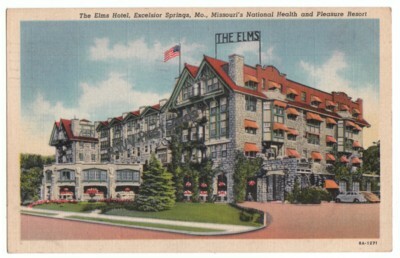 The Elms Hotel, Excelsior Springs, MO Then ….. The Elms Hotel Now ….. The Elms Hotel was originally built in 1888, rebuilt in 1909 after a fire, and rebuilt again in 1912 after yet another fire. It is listed on the National Register of Historic places. Why? One reason was due to a notoriously famous guest that stayed there during prohibition – Al Capone. Another was because President Harry S. Truman holed up there during his re-relection bid when it looked like he was loosing. Wrong. Aides entered his Elms Hotel room and informed Truman he had actually won the presidential election. Wow. 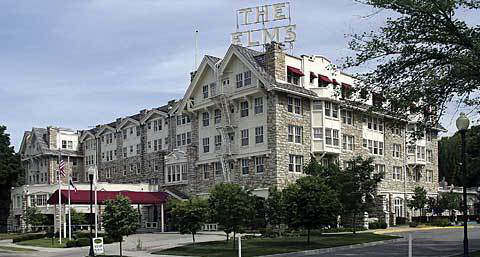 There are of course other historical reason for The Elms Hotel being on the national register. 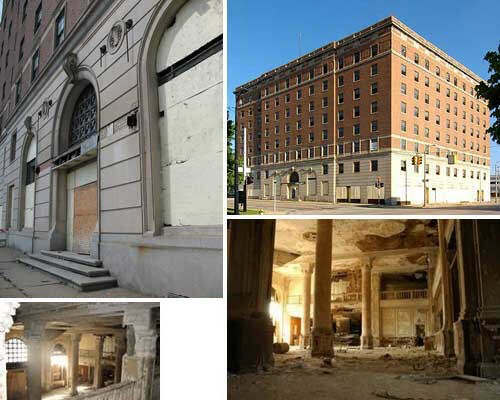 If you’d like to read a more comprehensive history of this hotel, visit Legends of America, Missouri – Elms Hotel . The Durant Hotel, Fling, MI Then ….. The Durant Hotel Now ….. 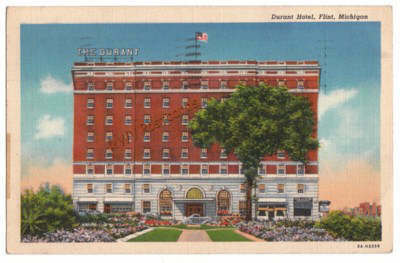 The Durant Hotel was built in 1920, and named after William Durant, founder of General Motors. It’s been vacant since 1973, but plans were announced in 2008 to turn it into a 93 unit apartment building.